2. In a frying pan, melt the Dromona butter. 3. In large bowl, mix 200g granola and the melted Dromona butter. 5. Once cool, spoon Dale Farm Pots of Goodness yogurt over granola mix; gently spread to cover. 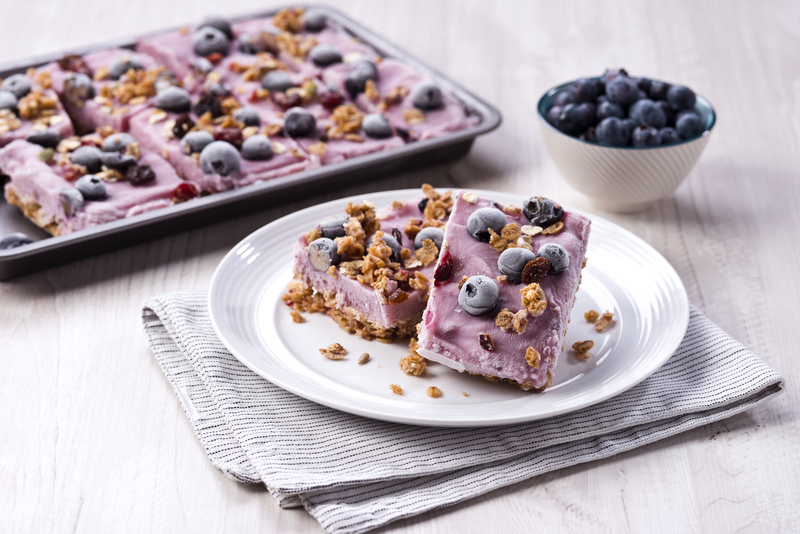 Sprinkle with blueberries and crushed granola. Freeze for 3 hours or until firm.